Vi's Been Quirky, Gypsylord's Got a Fix! Q- Is supposed to refund the CD when cancelled by enemy spells. Currently bugged vs. certain types of crowd control. Also may have a bug where the stun duration on the hit is a tad inconsistent. Will fix these after holidays ASAP. E- The reason E feels slow is because it doesn't just reset your auto, it also halves your attack frame. This causes the E attack to hit twice as fast, creating a longer space between it and your next attack. You're still effectively increasing your number of attacks per second due to the auto reset but I recognize that it FEELS a tad clunky regardless. Will look into ways to make it feel better. Would also need to consult live about this. A faster E would give her a ton of power. R - Assault and Battery is intended to be UNSTOPPABLE. If you use this on someone they WILL be knocked up unless they go untargetable or become immune to CC. That said, I intentionally made it so people can CC you once you start the uppercut animation (directly after the dash). Any CC applied during this time will take effect but SHOULD NOT cancel the knockup or damage. Example: You ult Ezreal and LeeSin kicks you as you're dunking your target. What should happen is A) you get knocked back and B) Ezreal still gets knocked up and takes damage. If displacement abilities and flash are canceling the ultimate completely they are bugs and will be fixed as soon as the office opens up again. In terms of Olaf and Morg being able to dodge ult damage, this is something I need to bring up with the live team. I feel like they should still take the damage (while of course dodging the CC) but this may be inconsistent with other abilities in our game. And here's Gypsylord having his epiphany moment a few hours back for those of you who love seeing the lightbulb go off. Ah, okay. I've just repro'd it. The bug occurs when you have a target. So if you right click the ground and cast Q, you won't stop, but if you right click a minion and cast Q, you will. I'll talk to the designers when we get back in the office. This is not intended behavior. Will fix when everyone gets back to the office. Also will fix Q losing its CD when you get stunned. Also will fix Q not refunding mana when canceled. Also will fix other bugs. FEAR NOT! Anybody else notice Vi acting funky? Comment below! 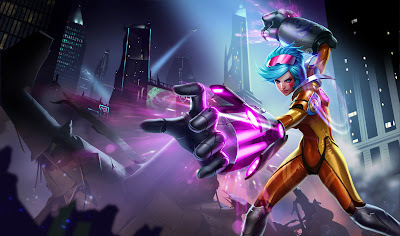 It could be just Twisted Treeline but as Neon Striker Vi, after using a ability she'll temporilary loose all her textures, making her blue. The only thing i know is that master yi's cd on Alpha strike and meditation gets their cooldowns / cast time bugged pretty often. I've noticed that too Durem, it's a little annoying, especially in aram.